XLE PREMIUM!! CERTIFIED!! USB PORT!! NAVIGATION!! ENTERTAINMENT SYSTEM!! SUNROOF!! BLIND SPOT MONITORS WITH REAR CROSS TRAFFIC!! 2018 TOYOTA SIENNA XLE PREMIUM IN THE HOUSE!! PREDAWN GRAY MICA EXTERIOR ON ASH PREMIUM LEATHER SEATING, 3.5L V6 ENGINE UNDER THE HOOD, 6-SPD AUTOMATIC TRANSMISSION, 27 HWY MPG!! CARFAX 1-OWNER!! NO ACCIDENTS!! LETS GO OVER ALL THE FUNYONS ON THIS SIENNA!! POWER WINDOWS, POWER LOCKS, DUAL POWER SLIDING DOORS, CRUISE CONTROL, BACK-UP CAMERA, 8-WAY POWER DRIVER SEAT, 4-WAY PASS SEAT, 2ND ROW CAPTAIN STYLE SEATING W/ REMOVABLE STOWABLE CENTER SEAT, BLIND SPOT MONITOR WITH REAR CROSS TRAFFIC ALERT, SMART KEY WITH PUSH BUTTON START, DUAL VIEW BLU-RAY ENTERTAINMENT SYSTEM, NAVIGATION, 7 HIGH RESOLUTION TOUCH SCREEN SYSTEM, TRI-ZONE CLIMATE CONTROL, REAR PARKING SONAR, 4.2 COLOR TFT MULTI-INFO DISPLAY SCREEN, AUTOMATIC CLIMATE CONTROL, FOG LAMPS, POWER TILT/SLIDE MOONROOF, USB PORT, BLUETOOTH FOR PHONE, BRAKE ASSIST AND SMART STOP TECHNOLOGY, 18 ALLOY WHEELS, ALL CERTIFIED UP WITH A 160-POINT TOYOTA CERTIFIED USED INSPECTION!! BUT WAIT SIENNA SHOPPERS….WE HAVE MORE!! YOU GET THE REMAINDER OF THE FACTORY BUMPER TO BUMPER WARRANTY TO 36K MILES OR UNTIL 07/09/2021 PLUS A 7 YEAR OR 100,000 MILE POWERTRAIN COVERAGE GOOD UNTIL 100,000 MILES OR 7 YEARS FROM THE IN SERVICE DATE!! WINNER WINNER CHICKEN DINNER RIGHT HERE FOLKS!! CERTIFIED COVERS 100% PARTS, 100% LABOR, AND 1 YEAR ROADSIDE ASSISTANCE!! 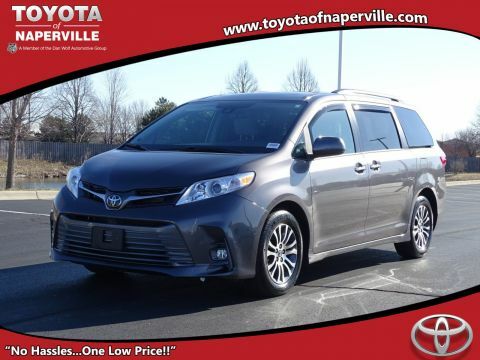 COME ON IN TODAY AND TAKE THIS LOADED UP SIENNA FOR A SPIN AROUND OUR TOYOTA OF NAPERVILLE TEST TRACK!! SEE YA SOON…ONE LOW PRICE, PLAIN AND SIMPLE….ALWAYS!! XLE PREMIUM!! CERTIFIED!! USB PORT!! NAVIGATION!! ENTERTAINMENT SYSTEM!! SUNROOF!! BLIND SPOT MONITORS WITH REAR CROSS TRAFFIC!! 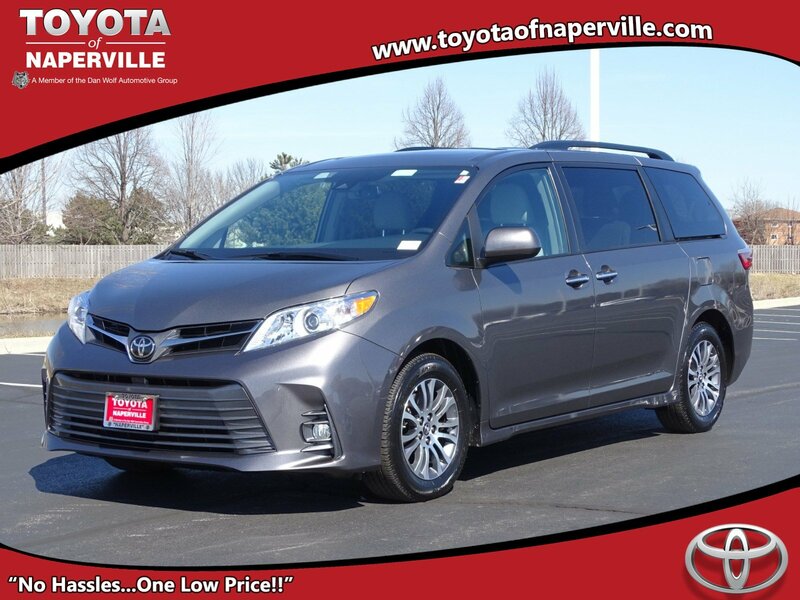 2018 TOYOTA SIENNA XLE PREMIUM IN THE HOUSE!! PREDAWN GRAY MICA EXTERIOR ON ASH PREMIUM LEATHER SEATING, 3.5L V6 ENGINE UNDER THE HOOD, 6-SPD AUTOMATIC TRANSMISSION, 27 HWY MPG!! CARFAX 1-OWNER!! NO ACCIDENTS!! LETS GO OVER ALL THE FUNYONS ON THIS SIENNA!! POWER WINDOWS, POWER LOCKS, DUAL POWER SLIDING DOORS, CRUISE CONTROL, BACK-UP CAMERA, 8-WAY POWER DRIVER SEAT, 4-WAY PASS SEAT, 2ND ROW CAPTAIN STYLE SEATING W/ REMOVABLE STOWABLE CENTER SEAT, BLIND SPOT MONITOR WITH REAR CROSS TRAFFIC ALERT, SMART KEY WITH PUSH BUTTON START, DUAL VIEW BLU-RAY ENTERTAINMENT SYSTEM, NAVIGATION, 7 HIGH RESOLUTION TOUCH SCREEN SYSTEM, TRI-ZONE CLIMATE CONTROL, REAR PARKING SONAR, 4.2 COLOR TFT MULTI-INFO DISPLAY SCREEN, AUTOMATIC CLIMATE CONTROL, FOG LAMPS, POWER TILT/SLIDE MOONROOF, USB PORT, BLUETOOTH FOR PHONE, BRAKE ASSIST AND SMART STOP TECHNOLOGY, 18 ALLOY WHEELS, ALL CERTIFIED UP WITH A 160-POINT TOYOTA CERTIFIED USED INSPECTION!! BUT WAIT SIENNA SHOPPERS....WE HAVE MORE!! YOU GET THE REMAINDER OF THE FACTORY BUMPER TO BUMPER WARRANTY TO 36K MILES OR UNTIL 07/09/2021 PLUS A 7 YEAR OR 100,000 MILE POWERTRAIN COVERAGE GOOD UNTIL 100,000 MILES OR 7 YEARS FROM THE IN SERVICE DATE!! WINNER WINNER CHICKEN DINNER RIGHT HERE FOLKS!! 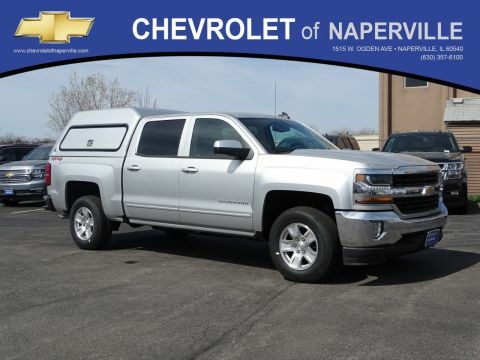 CERTIFIED COVERS 100% PARTS, 100% LABOR, AND 1 YEAR ROADSIDE ASSISTANCE!! 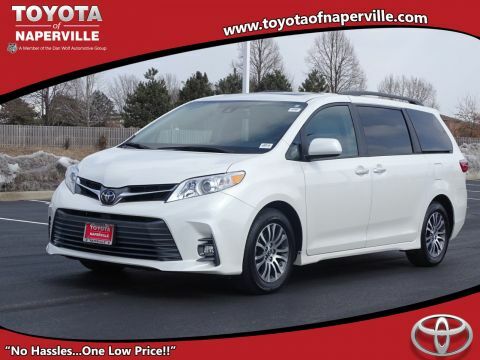 COME ON IN TODAY AND TAKE THIS LOADED UP SIENNA FOR A SPIN AROUND OUR TOYOTA OF NAPERVILLE TEST TRACK!! SEE YA SOON...ONE LOW PRICE, PLAIN AND SIMPLE....ALWAYS! !